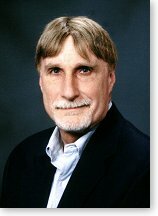 Editor's Note: J. Martin Rochester is Curators Distinguished Teaching Professor at the University of Missouri-St. Louis, and the author of Class Warfare: Besieged Schools, Betrayed Kids, Bewildered Parents, and the Attack on Excellence (Encounter Books, 2002). Constructivism is a popular educational theory, now being implemented nationwide, that devalues instruction and puts the onus on students, even toddlers, to take far more responsibility for their own education, either through independent or cooperative, peer learning. It is patently self-serving for teachers to want to be paid more for teaching less, for "getting out of the way,' as educators now put it. Although students certainly should be encouraged to take initiatives and engage in "discovery," critics rightly have called constructivism the equivalent of "the Socratic method minus Socrates" and have questioned how realistic it is to expect children to teach themselves. Related to constructivism, many school districts have adopted "block scheduling," which is premised on teachers doing less lecturing and instead, engaging students in discussion, role-playing, and active learning pursuits, but which in practice, often amounts to teachers taking time off while their charges use the school day to do homework, watch films, or surf the Internet. Most teachers, after initial resistance, have come to love this innovation, since there is less class preparation time needed. Progressive educators say they want to individualize instruction. The only way this stands any chance of working is if the teacher has very few students, which might then enable one-on-one "facilitating." Hence, the latest magic bullet solution for what ails education - smaller class size. Never mind that Korean classrooms, which employ traditional pedagogy, average 30-40 students and outperform ours. Never mind, also that smaller class size just happens to exacerbate teacher shortages and puts upward pressure on teacher wages and other educational costs borne by taxpayers. There has been a movement to adopt gradeless report cards and do away with ability grouping, thereby relieving teachers of one of their most onerous, agonizing duties - making evaluative judgments of which students are achieving academically and which are not. In the name of egalitarianism, schools conveniently can now avoid the tough job of "sorting" students. In effect, all pupils are now A students, and their parents the proud progenitors of honors kids. Indeed, with "multiple intelligences" theory now dominating the classroom, every child is a genius. No more children with damaged self-esteem or angry moms and dads storming the building, or so the K-12 leadership hopes. Discount Books Up to 90% off! saucy Jacky As seen on TV! Want to cancel a subscription or have psst! delivered to a new address?